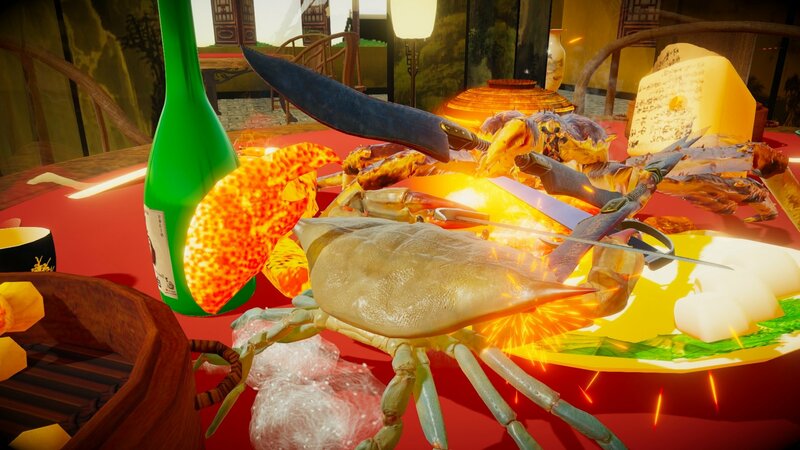 Earlier this year, we were introduced to the utter madness of Fight Crab, a game when two feisty crustaceans enter a battlefield and take each other on with various weapons. It was bizarre, but sort of brilliant, and you can remind yourself of its initial trailer here. Originally expected to launch at some point in 2018, the project has sadly found itself missing that initial target and is now scheduled to arrive on Switch in 2019. 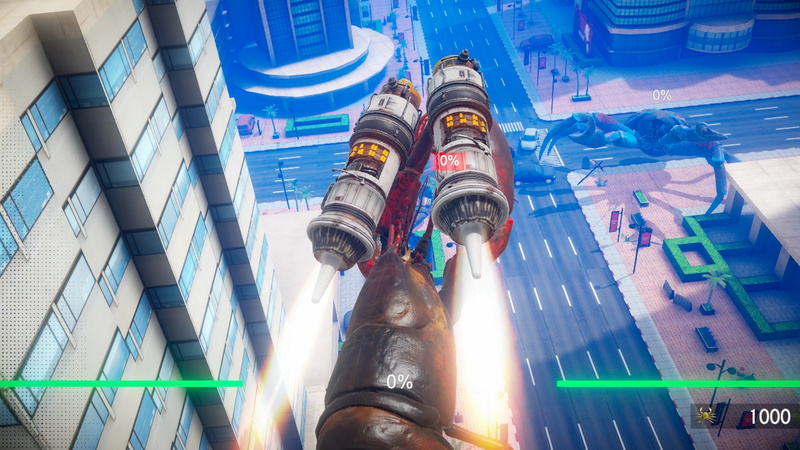 It's not all bad, though; a new trailer with added fancy music appeared a little while back (as seen above) and we've also got a selection of screenshots for you to check out below. We're not entirely sure why such a premise has been realised in video game form, and we're also not sure why the crabs and other creatures feel the need to pick up such crazy weapons when they could cause enough damage with their claws, but we're very glad that it will one day exist. Hopefully we'll receive a specific release date in the coming months. Until then, though, feel free to share your thoughts on the game in the comments below. 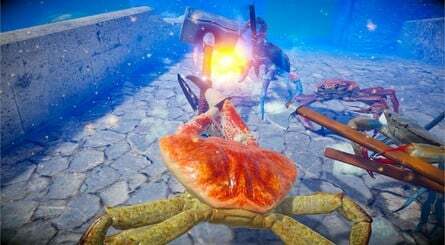 I had forgotten about Fight Crab, but after seeing this trailer I don't think I'll make that mistake again. I read fight club and was like.... No, even if I wanted to forget, every other person I know always mentions it. Forgot about this game, and after watching the video, I remeber why I wiped my mind clear of it. Never heard of it. But after watching the trailer, I hopefully will never remember it again. First time I've heard of this. Now I need it in my life. WOW! This game has come a long way. I see they have accompanied it with ska. That better been in game music. It still looks terrible, but in the good kind of way. Brings a whole new meaning to "Hit it's weak point for massive damage"
Looks ace! I may have to shell out for this one. A knife is useless against those massive claws! They could rip a tank apart! CRAB BATTLE!!! Also, the opponent at 0:17 is a female Atlantic Blue Crab. You can tell she's female because of her red claws, like she's wearing nail polish. The more you know! Ok, this is funny because no joke my wife had this very idea for a game down to the details like 5 years ago haha. Had they released this instead of Arms back then, I would have bought a Switch at launch. 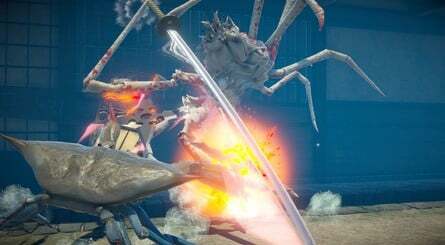 Knife wielding Crab for Smash Ultimate DLC. Smash What? this is the real fighting game for switch !! I'll take 20 copies of this please and thank you. Welp, it's safe to declare we've reached the pinnacle of gaming, folks. It won't get any better than Fight Crab. "I don't know if they're Alaskan king, but they feel huge." @Ttimer5 every person you know has broken the rules then! 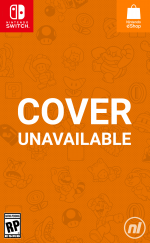 If this came out Friday, Smash would’ve bombed. 😂 thank goodness it isn’t, Sakurai himself can’t compete with Fight Crab! @ilikeike HAHA! You comment cracked me UP! I was waiting for this, guess I’ll just have to buy that Smash game on Friday now! Damn you! I had to thumbs down you just out of principle after that one. Even though it gave me a slight smirk and a ba-doom-'tssssch that chimed off in my head lol. Wow, this made a lot of progress since the last time i saw it. This is why I hate video games! It appeals to the male fantasy! @SimplyCinnamon53 - The game sets itself up to normalize the conditions of animal fighting! Did someone lose a bet and have to develop a game based entirely on their five year's old imagination? I mean, this looks terrible, but hilariously terrible and good for parties. This is the game we need. This is it! Gaming as a medium has peaked! There is no topping this. I'll buy 10 no 100 copies of Fight Crab on day 1! Such wasted opportunity. There should be lobsters too. I remember this game being mentioned here, I think it's from the people who made Ace of Seafood? 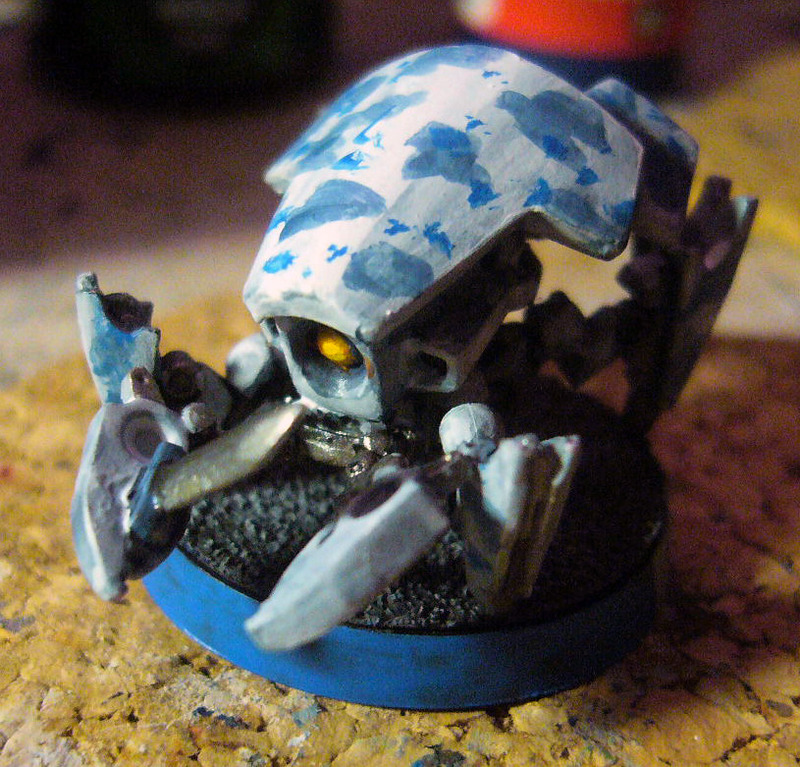 I don't know what is it about crabs with knives that makes them so hilarious, but when a minis game I play released a "Crabbot", I couldn't help giving it a knife too (it's mentioned in the statblock, but not on model). This is going to be phenomenal and I can't wait to get my hands on this and laugh till my insides hurt with my friends.